One of my first excursions when I moved to Cache Valley was a visit to Preston, Idaho. A famous place here in the valley as it was the setting for the film Napoleon Dynamite. Upon arrival from the south one of the first things you see is a large grey tin sided grain elevator. I liked this one because it looked so humble. Logan has a few and they look somewhat industrial though at a much smaller scale than those seen on I-15 in Ogden. 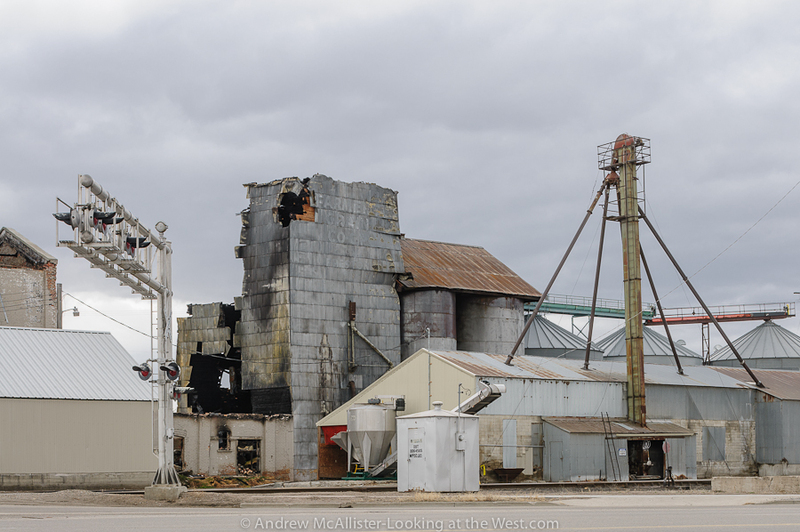 In the afternoon, the time I’m usually in Preston, the grain elevator is back lit and thus I had not photographed it on my first few visits. 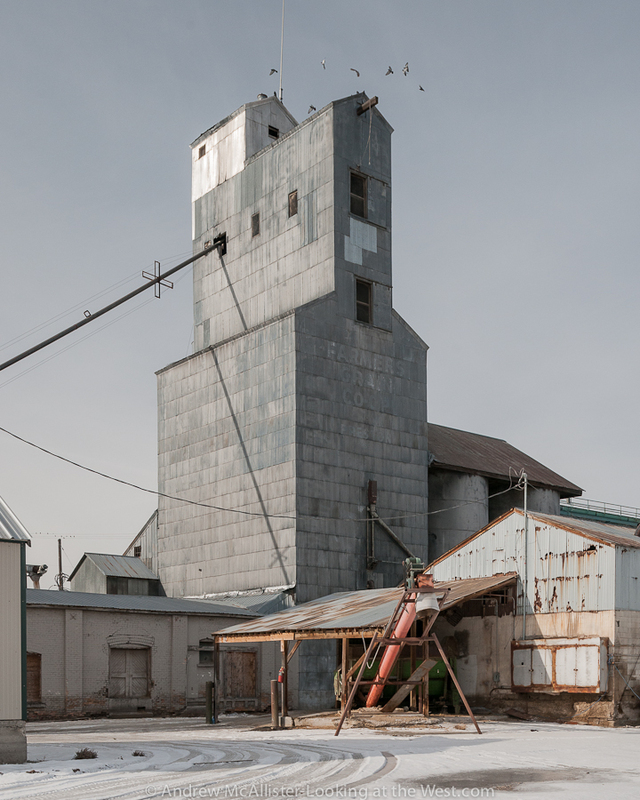 This past January I was testing a perspective control lens that I had rented for a job and thought this grain elevator would make a great subject. 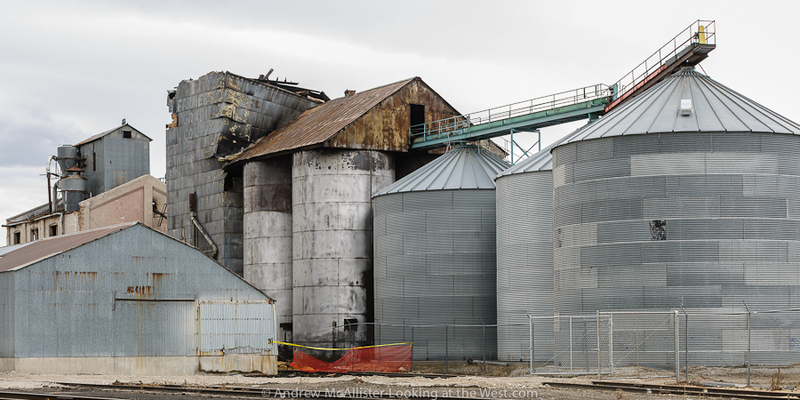 A little over a month later the grain elevator caught fire. Video clip linked from Youtube user hullhollyjo. Technical info: Top image captured with the Nikon D300s and 24mm PC-E lens (from Borrowlenses.com), post fire images D300s and 45mm PC-E lens. Processed in Adobe Lightroom 4. Next time you’re in Preston, check out the Bear Creek Massacre site. It’s largely been lost to history, but it’s so important to the region’s and the West’s history. Over 300 Shoshones were massacred there. I have been there twice. Both days were overcast so my pictures were not that great. I’ll do a post about it in the near future. Thanks for your comment/suggestion. Excellent, excellent image. Love the tonal quality, the perspective correction, the subject. Such a shame it was destroyed by the fire.